We all love the family pet. They’re so full of character and always so happy to see you when you walk through the door. For all of Pooch’s plus sides, however, there still exists one undeniable downside – he or she sheds hair absolutely everywhere! It seems like a never-ending task of vacuuming up their hair, and even then you’ll still be left finding the odd hair in unexpected places. It’s an all too common story. You don’t want to vacuum the house five times a day, but your dog sheds so much that five times seems like a minimum standard. For pet hair, particularly in carpet and upholstery, you’ll want a vacuum cleaner that packs a powerful punch, but also comes with fittings that help that suction really get in amongst the carpet fibres to pull out tangled-in animal hair. What are the top-rated vacuum cleaners for pet hair? So, what are the best vacuum cleaners for pet hair? It’s a subjective point really. Let’s compare some of the most popular and recent models to offer some guidance and give you an idea of what to look for at different price points. Whatever amount you’re looking to pay, consider whether or not to get a bagged or bagless vacuum – bagless may involve stray hairs flying everywhere when you open it to empty. 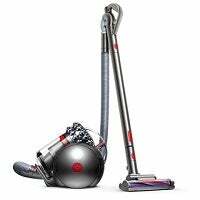 Dyson is a titan when it comes to vacuum cleaners – it’s the brand’s forte. Though, one particular model shines above the rest when it comes to vacuuming pet hair. It’s the Cinetic Big Ball Animal Pro (Animal Pro for short). The ‘Animal Pro’ comes in the storied list of Cinetic Big Balls and is sure to easily make a dent in your dog’s floor-dwelling hair. As is typical of Dyson, each model is one step ahead of the last, with innovative technologies wooing customers over the world. The most noteworthy part of the Animal Pro vacuum cleaner – and any Cinetic Big Ball in fact – is that its chassis is almost immune to tipping over. This makes whizzing around the carpets to clean up Pooch’s hair a breeze, and you don’t have to worry about an overzealous dog tipping over the vacuum cleaner. We have to announce one major downside to the Animal Pro, though – it retails from $999! It is clearly not a cheap vacuum cleaner then, but if you’ve bought a Dyson before, then you’ll realise that it is not a budget brand – and quality comes at a price. We also suspect that the rate of buyers’ remorse for Dyson vacuums is pretty low. If it’s not so much the pet hair that’s the issue, but rather allergies in the household, then the Big Ball Allergy edition from Dyson may be the more viable, cheaper alternative. Retailing for $200 cheaper, the Allergy is a no-mess, no fuss vacuum cleaner that won’t set your sneezes off. Whichever Big Ball model you choose, we imagine you’ll be satisfied with their pet hair cleaning capabilities. Learn more and buy at Appliance Online. 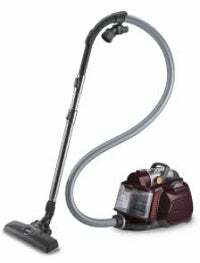 Hoover is the old stalwart of the vacuum cleaning world, before young whipper snappers such as Dyson came along and turned things on their heads. Hoover was so popular in the 20thcentury that the brand name pretty much replaced the words ‘vacuum cleaner’ in many households. “Go and get the hoover!” You might be surprised to know that Hoover is still hoover-ing up a tidy market share today, providing some great vacuums for households with pets. 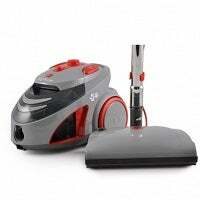 One of the most popular is the Dog & Cat Turbo Bagless Vacuum. The ‘Dog & Cat Turbo Bagless’ features a 1800W motor, and also comes with an upholstery brush to make picking off pet hair on furniture especially easy. 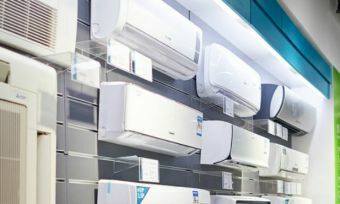 It is classified as anti-allergy, and has a HEPA filter. So not only should it clean up your dog’s hair, you also won’t be left watery eyed and sneezing in the process. The Dog & Cat Turbo Bagless vacuum comes in at a more intermediate price – $299, which is more palatable for a lot of people than the Dyson. Though, the price of the Dyson vacuum is reflected in its sheer range of features and perks. Aside from pet hair attachments, the Hoover remains a mystery as to how it is better than a generic vacuum for cleaning pet hair. Though if you’re just looking for a vacuum generally geared towards pet hair vacuuming, we suspect the Hoover is a very attractive package; it’ll save you forking out over 500 extra dollars. Learn more and buy at Appliance Online. While high-end home appliance manufacturer Miele is perhaps better known for its contributions to the kitchen, Miele is also well regarded by consumers for its vacuum cleaners. The Complete C3 Cat&Dog PowerLine is – retailing at $729 – quite a pricey vacuum. But as with anything Miele, you should think of it as a long-term ‘investment’. 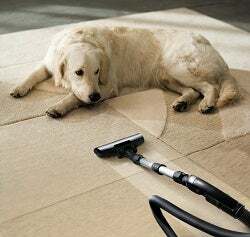 The 2000W motor makes it hell on earth for any pet hair on the floor, and is assisted by the turbobrush that works into the carpet to lift out hair and lint. And your vacuum won’t go around blowing that musty animal hair smell everywhere thanks to the Active AirClean filter, designed to neutralise odours before they escape the exhaust. If the C3 seems a bit too expensive, you could always knock off $200 and go for the more space-efficient Compact C2 Cat&Dog Powerline. With a slightly weaker 1800W motor, it still features the turbobrush and Active AirClean filter, but packages it into a more compact space-saving design. This could make it a preferable choice for those sharing a small space with their furry friend. Less space taken up by cleaning equipment means more space to store treats and toys to spoil your favourite non-human. Learn more and buy at Appliance Online. If you like Bosch power tools, you might be inclined to complete the set with a Bosch vacuum cleaner. We’re not sure exactly how to pronounce the name of the bagless Relaxx’x Zoo’o ProAnimal vacuum cleaner, but it comes with some solid features. It includes the Animal 360 kit, which gives you a full set of nozzles for carpet, upholstery, and hard floor cleaning targeted towards the cleaning needs of animal owners. The turbo brush vacuums and brushes at the same time to dig out pet hairs that have managed to settle themselves in amongst the carpet fibres, while at the same time fluffing up the pile after it’s been trodden all over and napped on during the copious naps enjoyed by household pets. The fully automated SelfClean System means you don’t need to come into contact with allergy-triggering dust during filter cleaning, while the washable HEPA hygienic filter is also designed with allergy sufferers in mind. Retailing at $799, it’s again no bargain buy, but you may have to cop the cost if you’re looking for something that can properly clean up after your pet. Learn more and buy at Appliance Online. There are quite a lot of different options for pet parents in the Electrolux vacuum cleaner range, and at some more moderate price points. 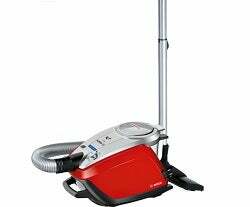 The bagless Silent Performer Cyclonic Animal All Floors comes with a 1600W motor which has one of the lowest operating noise levels in the Electrolux vacuum range. It may be a real snip at just $349. This vacuum is designed to be adaptable to cleaning all different kinds of flooring, with three different included nozzle attachments. The ‘DustMagnet Silence’ main flooring nozzle is said to provide a quieter clean without sacrificing performance, while the full sized Turbo nozzle and Hardfloor tools are targeted towards extra suction and gently gliding along hard flooring respectively. It’s also easy to filter out any allergens from your home with the HEPA washable filter – just tuck Mittens away in the bedroom and use the vacuum to make the rest of the home safe for your allergic-to-cats guests. Learn more and buy at Appliance Online. What about robot vacuums for pet hair? The best vacuum is the one where you don’t have to get up off the couch, right?! The robot vacuum has also become a lifesaver for those of us with particularly hirsute pets. Your robot friend has no qualms about vacuuming every day – or several times a day! Pick up one of these mobile treasures and you can look forward to walking barefoot on a clean floor whenever you want. One popular robot vacuum is the Neato Botvac D85, which will set you back nearly $2,000. Convenience doesn’t come cheap, but when it comes time to vacuum, the couch never looks so inviting. The Botvac features touch controls, larger brushes and three large filters to capture dust and dirt, and a boundary marker which prevents it from trundling down the stairs. Its unique D shape helps it get into corners. The D85 is the strongest vacuum in the Neato D range, and is the recommended choice for picking up pet hair. Robotic vacuums are still in their infancy, and as such, traditional vacuums may get the job done a lot quicker. That’s not too bad, though – since you don’t have to do any of the manual work, it might not be such an inconvenience to let the little buddy take a couple of extra passes over the floor to get the job done, so you can do more interesting things with your time.